The working-class Simcocks and middle-class Rodenhursts are from different ends of the social spectrum. Their fortunes forever linked by a shotgun wedding, they meet at various functions: more weddings, a funeral, the crowning of Miss Frozen Chicken UK. Each event ("do") is a calamity in the making. 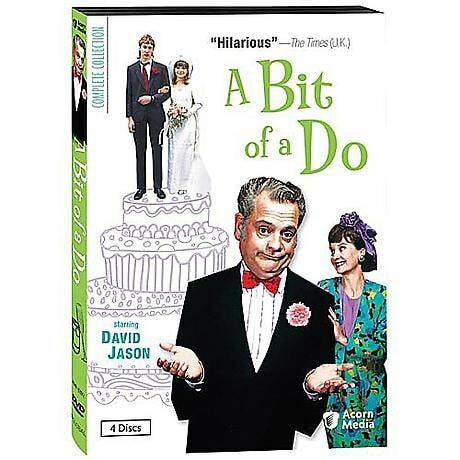 David Jason (A Touch of Frost) leads a stellar cast in the classic Britcom based on books by David Nobbs (The Fall and Rise of Reginald Perrin). "Hilarious"--Times (UK). 13 episodes; approx. 11 hours on 4 DVDs. The wedding of Jenny Rodenhurst and Paul Simcock is memorable, but for the wrong reasons. Liz, the bride's mother, and Ted, the groom's father, make an impetuous decision that will change everyone's lives. Secrets unfold at a dentists' dinner dance, the Angling Club Christmas party, a charity horse-racing evening, and the crowning of Miss Frozen Chicken (U.K.). The series ends the way it began: at a wedding as full of surprises as the first. More weddings, a christening, and a funeral continue the chain of events begun when Ted Simcock and Liz Rodenhurst had a fateful encounter on their children's wedding day. Rita has a romance with a politician, Ted becomes involved with a woman named Corinna, a former purveyor of frozen chicken goes vegetarian, and Paul tangles with the law. A funeral leads to another marriage proposal, and two weddings take place at the same place on the same day--but Liz is up to her old tricks.